Mount Sinai’s new seven-story Skolnick Surgical Tower and 34,000 sq ft Hildebrandt Emergency Center open today on the hospital’s main campus. 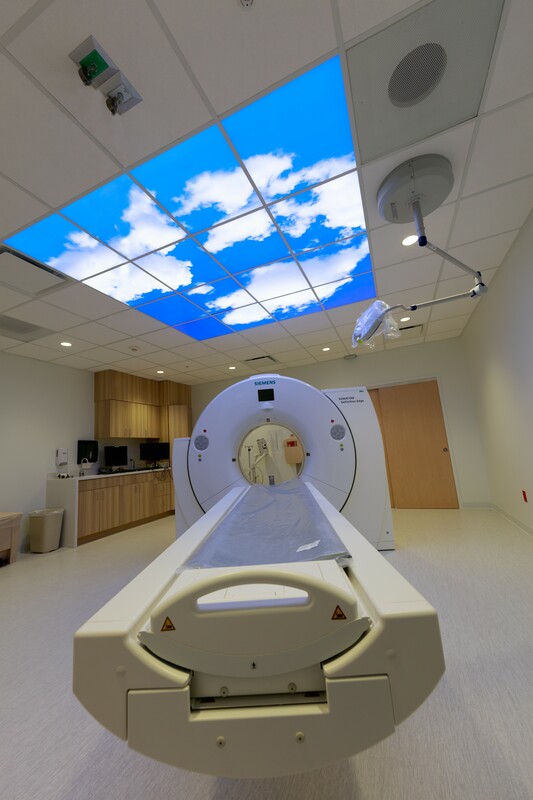 “The $275 million construction project combines highly advanced diagnostic technologies and treatments with a tranquil and healing environment, designed to enhance the patient, caregiver, and visitor experience,” according to a press release from the hospital. 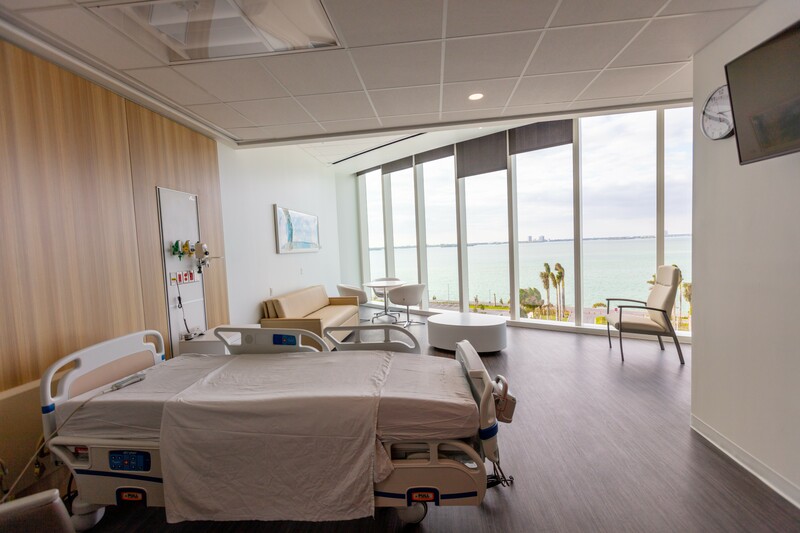 There are 154 rooms in the surgical center, each with a bay view. 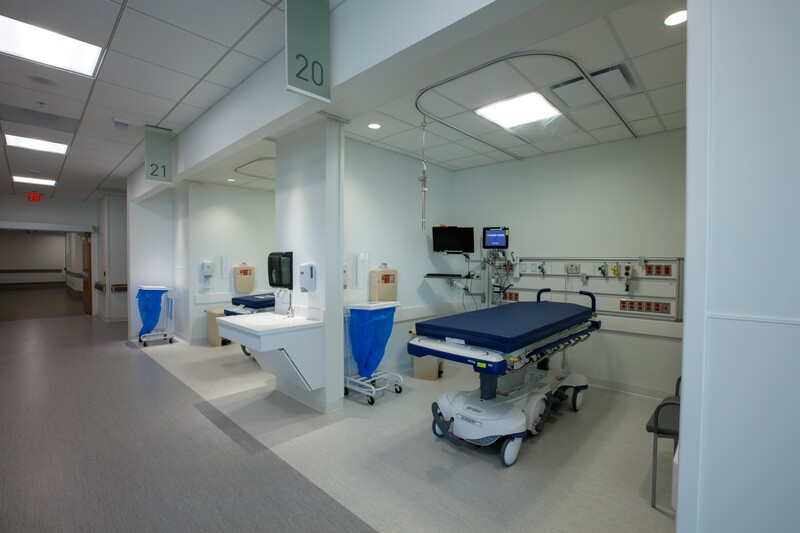 The Hildebrandt Emergency Center has 50 treatment rooms and six designated behavioral health rooms for psychiatric and/or psychological evaluations. 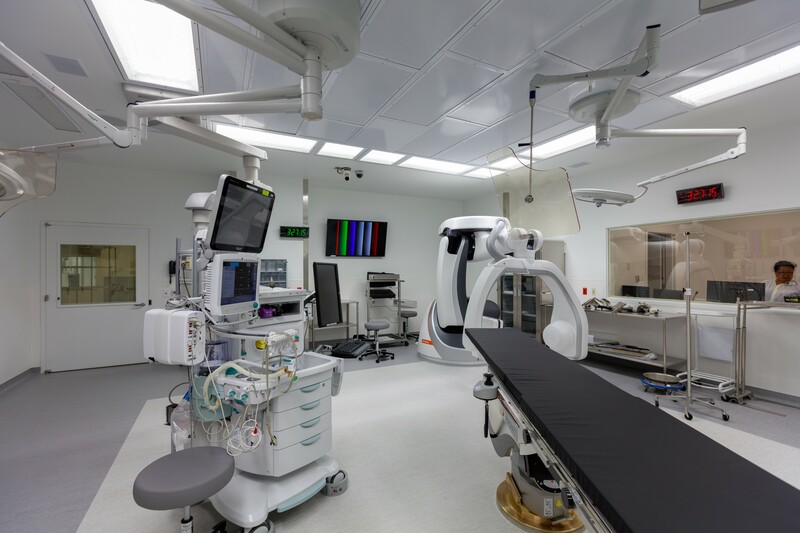 It can accommodate 75,000 patient visits per year. The new facilities are built to withstand sustained hurricane-force winds and rising water from storms. Both the surgical tower and emergency center have hurricane-resistant windows and roofs, reinforced walls and generators capable of powering the entire campus for over a week. 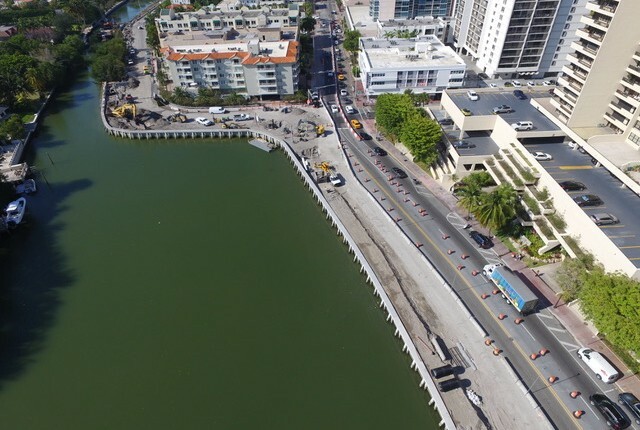 In partnership with the City of Miami Beach, the Hildebrandt Emergency Center will now house the City’s Emergency Command Center on its second floor. “The project is also a catalyst for the Mount Sinai Arts Program, a partnership in which custom-curated artwork will be displayed throughout the new facilities,” according to the hospital. The program adheres to the philosophy of Barry Skolnick, the incoming Vice Chair of Mount Sinai’s Board of Trustees, who believes art can be healing and comforting. The Surgical Center is named for Skolnick’s family. 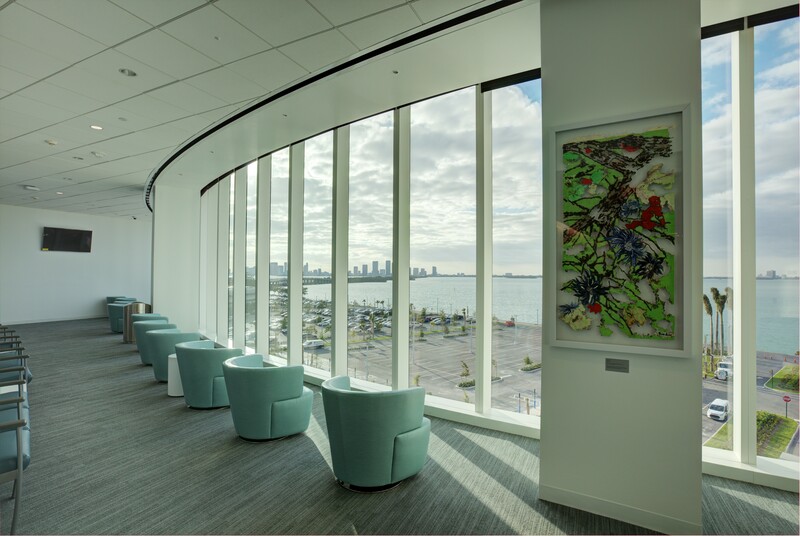 Founded in 1949, Mount Sinai Medical Center is the largest, independent, private, not-for-private teaching hospital in South Florida. Its main campus is located at 4300 Alton Road in Miami Beach.